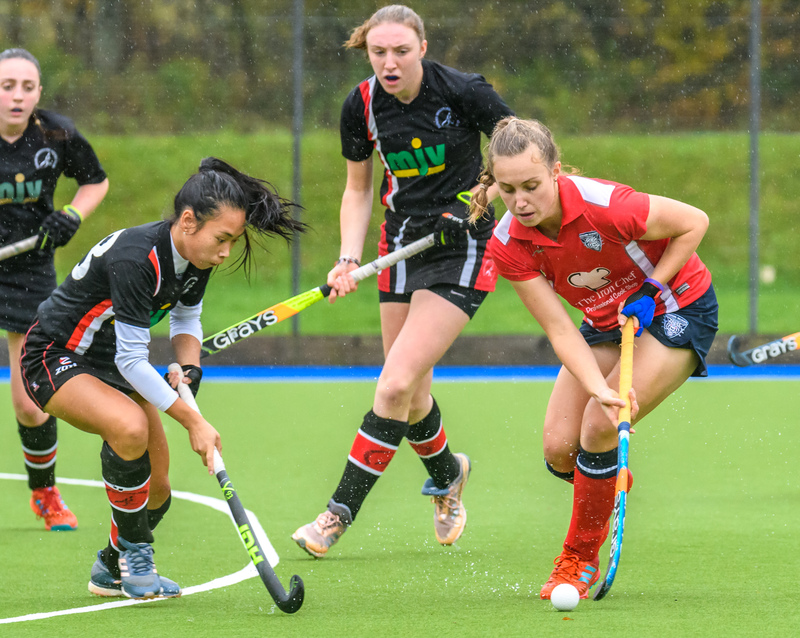 Snow and flooding caused the postponement of almost all Saturday`s National League 1 fixtures, but pride of place must go to Western Wildcats` women who not only beat the weather at Auchenhowie but also opponents GHK. Western Wildcats’ 5-0 victory propelled them into second place in the table, still two points behind leaders Edinburgh University but now above both Dundee Wanderers and Clydesdale Western. They showed little sympathy for the visitors on a chilly Auchenhowie, Alex Stuart opened with a reverse stick shot, then Erin Stevens finished off a brilliant team build-up for the second before the interval. Western Wildcats dominated the second half and the score might have been greater but for multiple saves from GHK keeper Ali Westwood. However, the goals continued, Megan Cox made it 3-0 followed by a penalty corner conversion by Kate Holmes. The fifth came from player/coach Kaz Cuthbert after she was left unmarked in the circle. The result leaves GHK second bottom in the table and in the relegation play-offs. There was no change to the rest of the women`s table and also not to the men`s as all their games fell foul of the weather. The result is that Grange still lead the division by six points from Western Wildcats with Grove Menzieshill a further point adrift, and there are still only three games left in the schedule.